Pop’s Repairs is a full service home and appliance repair company with over 35 years of experience on the Outer Banks. Here at Pop’s Repairs, we know first-hand the toll that the winds, storms, and sands can take on existing homes and businesses. Whether you’re an individual or a rental company managing dozens of properties, we have the experience to service your unique Outer Banks repair needs. Our dedicated technicians can fix just about anything--including the kitchen sink! We always pull all applicable permits and ensure all required inspections are performed on every job. 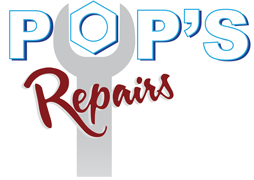 So let Pop’s Repairs be your one-stop shop for all of your home repair needs. Repair and replacement of all appliances. We only use Original Equipment Manufacturer [OEM] replacement parts. However, we do not do warranty work. Note: We do not work on counter top appliances because the charge to look at them is generally greater than the cost to purchase a new unit. We are a licensed, full service electrical contractor that handles residential and light commercial work. We primarily service residential repairs. Unfortunately, we do not do new construction. Rest easy, we always pull all applicable permits, all of our work is to NFPA code, and we ensure all required inspections are performed on every job. Are you thinking of customizing your man-cave? How about a custom, in-wall entertainment center? Rotten deck stairs and loose boards are no problem for Pop’s Repairs. We’ll make that deck look like new. We also offer power washing of decks and siding. Flooring repair/replacement. However, we do not perform carpet installation. We handle pretty much everything except lawn care, concrete work, new roofs, or new construction. Rest easy, we always pull all applicable permits and ensure all required inspections are performed on every job. We are a full Class 2, Type 3 HVAC Contractor! Residential and light commercial up to 15 tons of heating and cooling. Here in the Outer Banks the ocean air can wreak havoc on even the best HVAC system. Ask about our Yearly Maintenance Programs and Filter Replacement Programs to help keep your HVAC cooling for years to come. We always register all new equipment for our clients to maintain their warranty, so you don’t have to worry. We do mainly residential and some light commercial work, but no new construction. Rest easy, we always pull all applicable permits and ensure all required inspections are performed on every job. We mainly do minor plumbing repairs, but we are qualified to do bathroom remodels and water line replacements. We primarily handle residential and light commercial clients.